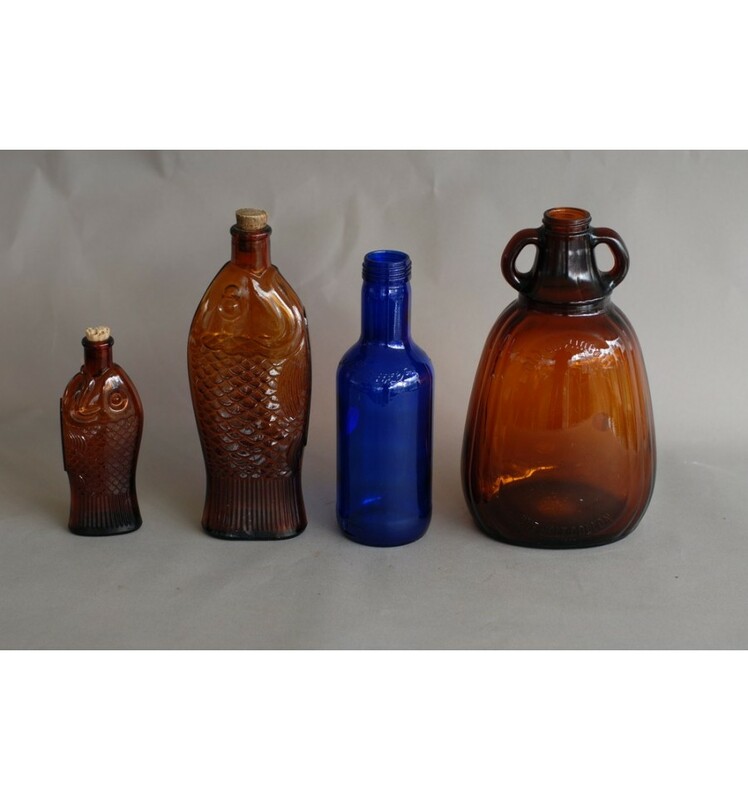 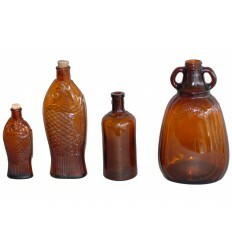 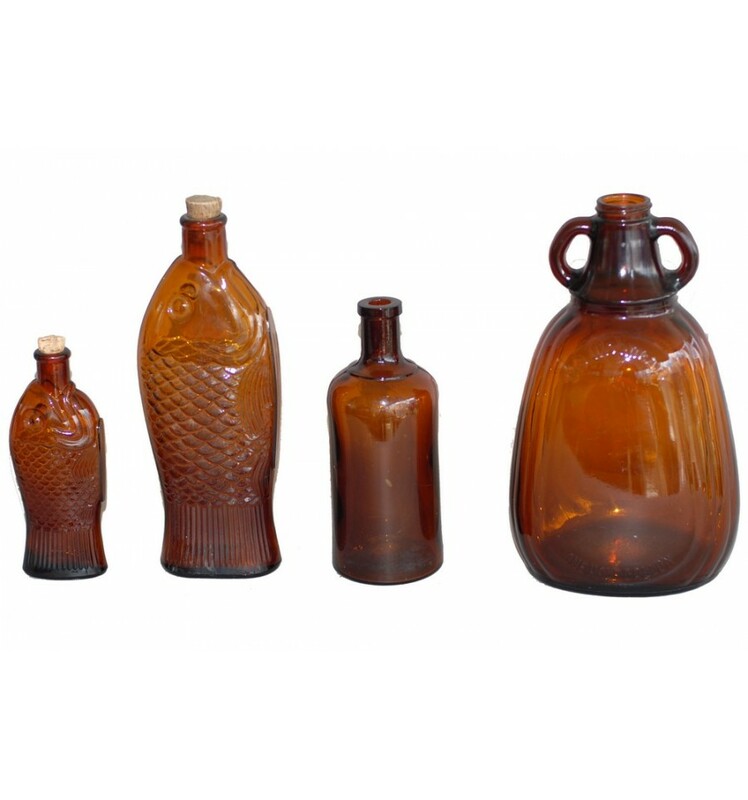 Set of 4 vintage American brown glass bottles in different sizes. 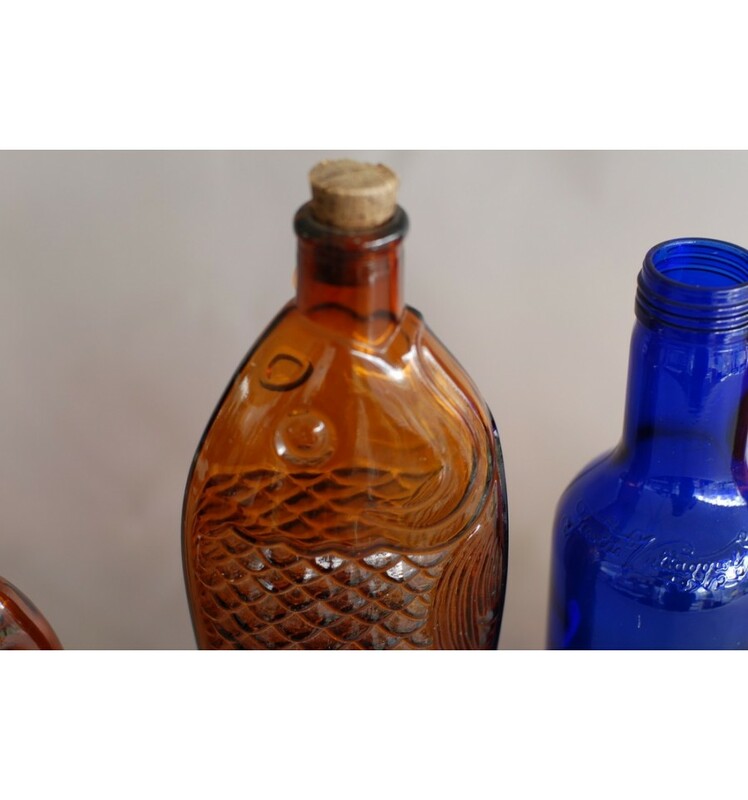 Together they make a composed glass vignette. 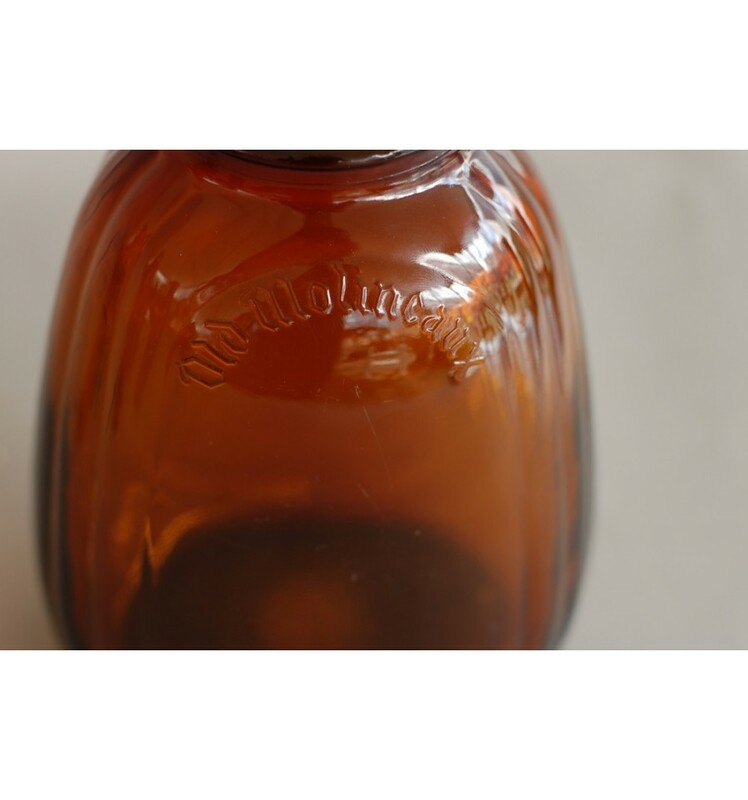 Great on the window sill with light streaming though them.